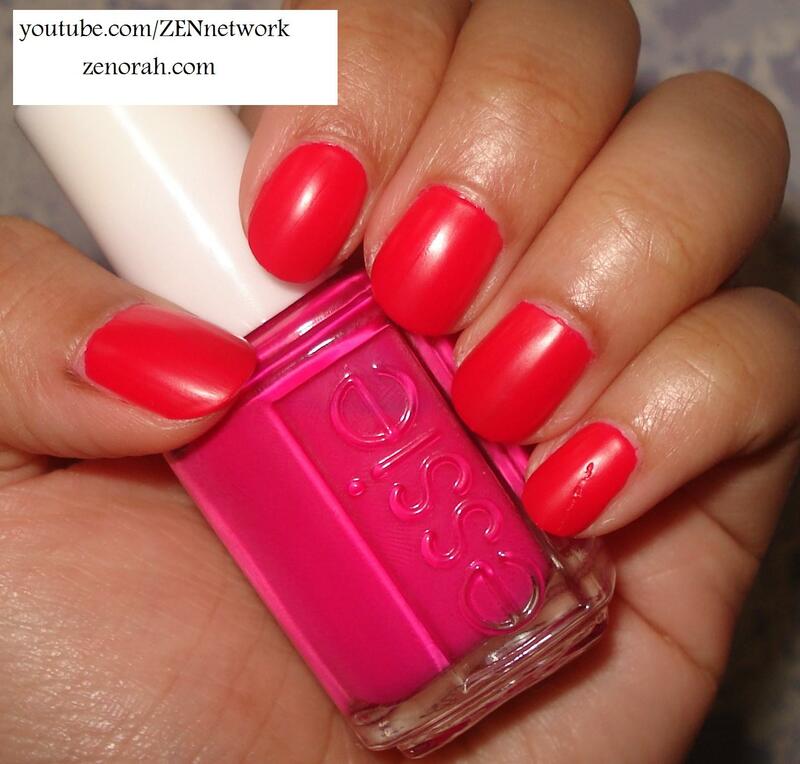 Essie Bermuda Shorts – is one of the most misleading colours I own in my collection! In the bottle it appears to be beautiful pink-purple shade but on the nails you can clearly see that it is more of a pinkish red neon with coral undertones. This polish is one of my “vintage” polishes because it was released in the Neon Shorts 2008 Collection and is pretty rare to find these days and like most neons, it has a matte finish. Sorry for the dent in my pinky finger, I nicked it while it was drying but I knew a top coat would fix that so I didn’t redo that nail. This is what it looks like with a top coat – much more jelly like in appearance but it’s not a jelly finish by any means. It took three coats to be opaque as well, I could have used a white base to pop the colour even more but I really wanted to see how this polish would behave on it’s own. I have to say, it really took me by surprise how much I liked it – I’m not a huge neon fan and I have only a handful in my collection with China Glaze Flip Flop Fantasy leading the pack – and I’m actually loving the fact that it’s not as purple as it appears in the bottle. What I find super interesting is how many swatches online that capture this polish as more ‘purple’ when it’s definitely not purple! And I don’t think it’s camera issue because my camera is pretty sucky but it was relatively easy to capture the ‘true’ colour of the polish. So now this is a mystery to me because had I viewed swatches online before purchasing this particular polish, I would have passed on it! I know this is probably super limited edition but I found mine at a local beauty store for a discounted price and I was honestly pleased to have a sort of “vintage” polish. It definitely gets points for the ‘shock value’ it had and if you ever come across it, I suggest buying it for sure but by no means is it a ‘must have’. I think its definitely more of a pedicure colour but seeing as the summer is ending I have been frantically trying to wear most of my summer shades up before Fall sets in because I am guilty of wearing polishes based more on season than on mood. And boy do I have some beautiful Fall polishes I can’t wait to wear again!!! Do you own Essie Bermuda Shorts? What are your thoughts on this nail polish? Hi! Pretty color. It certainly looks purple in the other swatches I’ve seen. I will have to try this one as I have a new found love for neon! FFF is the best as you said. I tried it and fell in love bc u suggested it. 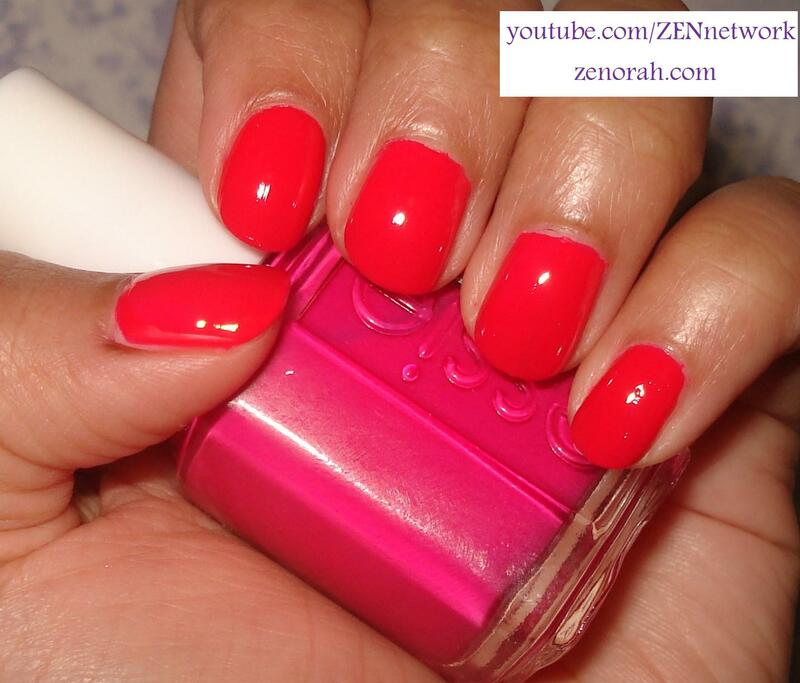 Have you tried china glaze shocking pink?? I was sooooo pleasantly surprised and wear it often. Hi Taryn, neons definitely got a lot of love form me this summer especially FFF, so happy you love it as much as I do. I haven’t tried CG Shocking Pink, will defintely pick that one up. Was always torn if to get Shocking Pink or Pool Party, what do you think? Definitely shocking pink! It’s the most girly color ever and reminds me of Barbie pink milk- weird description but I love it. And it lives up to its neon pink. Its exactly that. I swatched my pink highlighter next to SP and SP was actually pretty much the same just a little…pinker. Pool party is quite different. 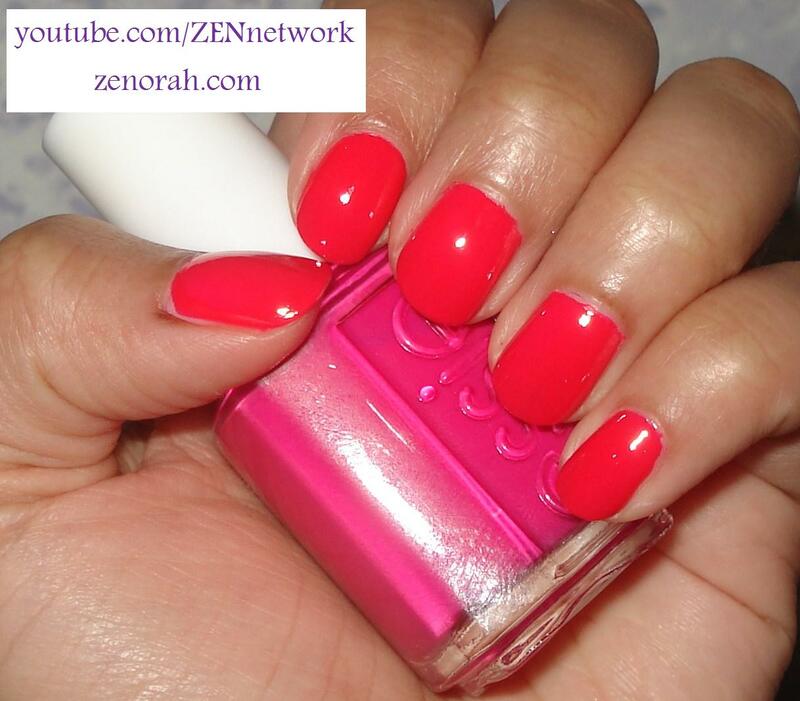 Applies beautifully but is more of a red hot pink than a true pink. Please try SP. I think you will be a fan. Next time I go to Sally’s Beauty Supply I will definitely pick it up! very curious now =) hate to see summer go but I do love Fall nail polishes!